Here, we describe the normal way from Slovenia. 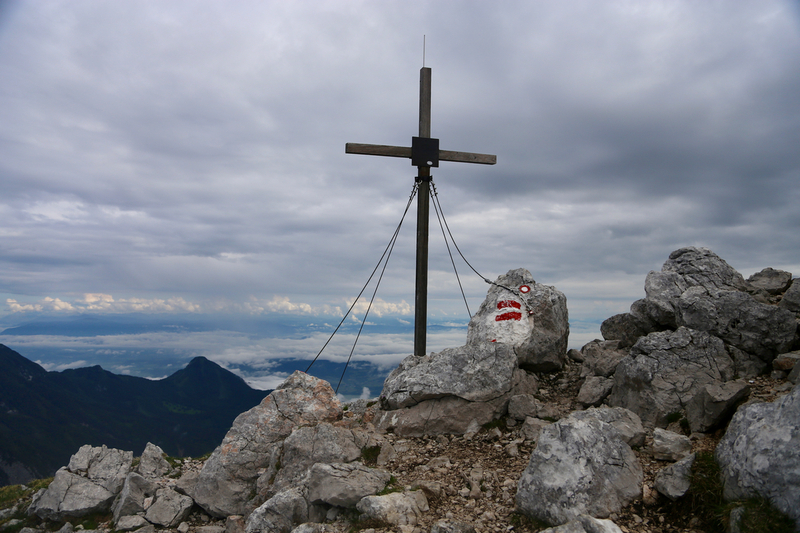 The peak may also be climbed from the north, starting in Austria. From Villach in southern Austria, drive A-11 signed for Slovenia. This road crosses into Slovenia via a long tunnel (toll). Continue south-east for a short distance after exiting the tunnel. Look for an exit to Jesenice. In Jesenice, continue south-east on the main Hwy. that runs through town. Continue along this road, eventually, there is a lake on your right hand side, unfortunately, this lake is hard to see from the road. When this lake ends and before the road bends right (and head for the valley floor), make a left turn at location N46.41131, E14.12904. Continue on this road until the forest road that serves the hut Vxxx Dom, forks left at location N46.40737, E14.14433, this is just before the road gets to a small lake. Follow this road uphill as it climbs, there is at least one fork where one should keep left. You will arrive at a small parking lot in front of the house Vxx Dom. This location is N46.42590, E014.14688, elevation about 1180 meter. Locate the trail sign that points directly across a very small meadow, follow this trail as it only climbs slightly while mostly traversing the hillside to your right (when looking uphill). The trail will soon emerge from the forest into an open field where some farm houses are located. Before you get to the houses, the trail turns (left) directly uphill. This trail is well marked and quite big so no chance to get lost. The route will exit from the forest and pass through a section of low pine brush before entering open land. There seems to be two summits ahead with a small valley/gully between them. The correct (main) trail turns slightly right and climbs the rightmost summit. 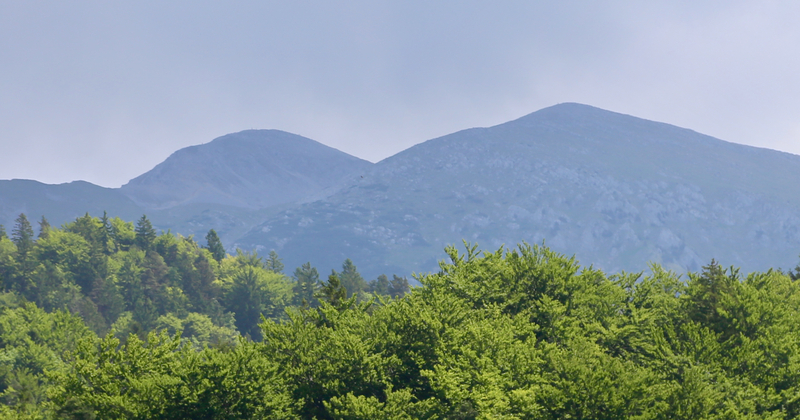 This summit has a hut near its top. As you traverse across it, you will find that the col between these summits is quite high, the trail only descends perhaps 25 meter before the last section, ascending the right summit, significantly higher than the summit you just traversed across. 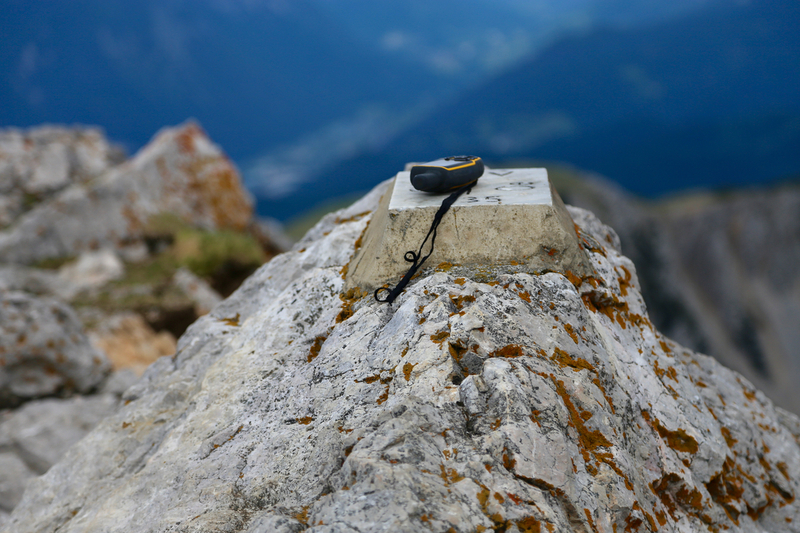 There is a border marker between Austria and Slovenia at the summit. There is a traditional cross a bit further downslope on the main ridge going west. 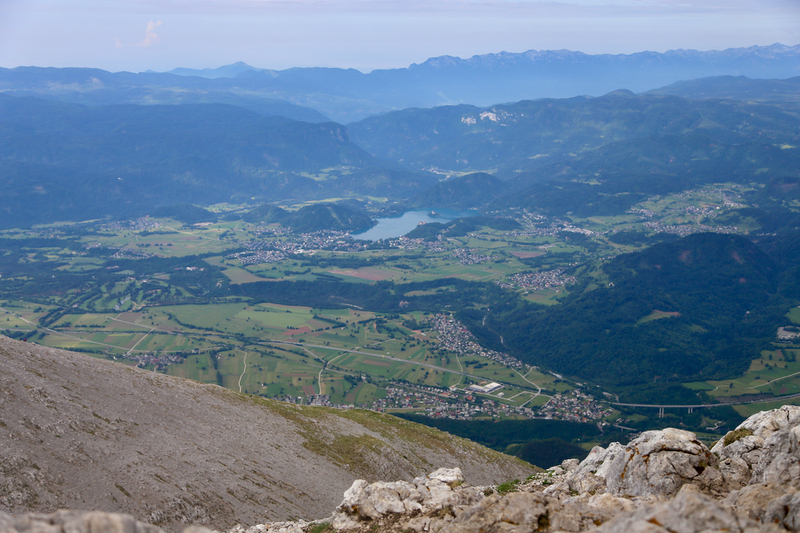 Åke and I had decided to climb some summits in Austria during this long weekend. The plan was to stay in the north-west, thus flying to Zurich was quite convenient. However, as I called the hut on the Köllingspitze, they informed me that a late snowfall made the intended routes still dangerous and that nobody has started the climbing season there yet. Added to this was the updated forecast calling for continuous rain all weekend. 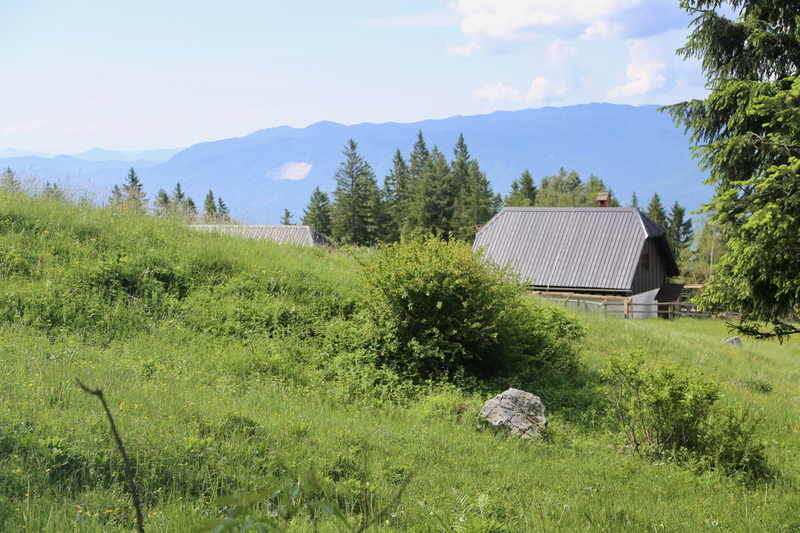 The situation called for a plan B, as I arrived at the airport, I told Åke that we were going to the area near Villach in southern Austria instead, hunting peaks with less snow and better weather. 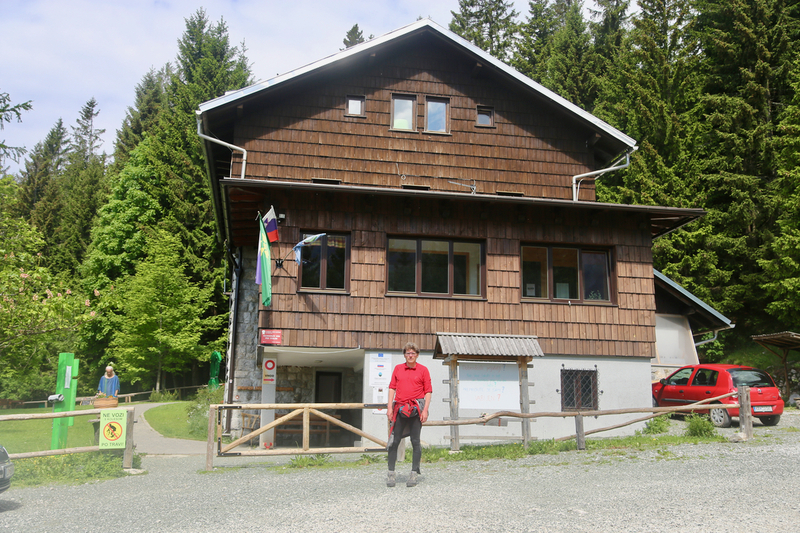 After a long drive, we spent the night in Jesenice, left early and were ready to hike from the trailhead at 0700. The hike was nice and we caught up with a surprisingly large number of hikers that had started before us. We arrived at the summit at 0845 in good weather and with several other parties around. Leaving at 0900, we descended directly down the ridge and merged back onto our ascending route about where it left the vegetation behind. The descent was nice and easy as we returned to our car at 1020. It was still early in the day and we decided to try for two more summits, both supposed to be very short and easy climbs. Thus, we travelled towards Wöllaner Nock. 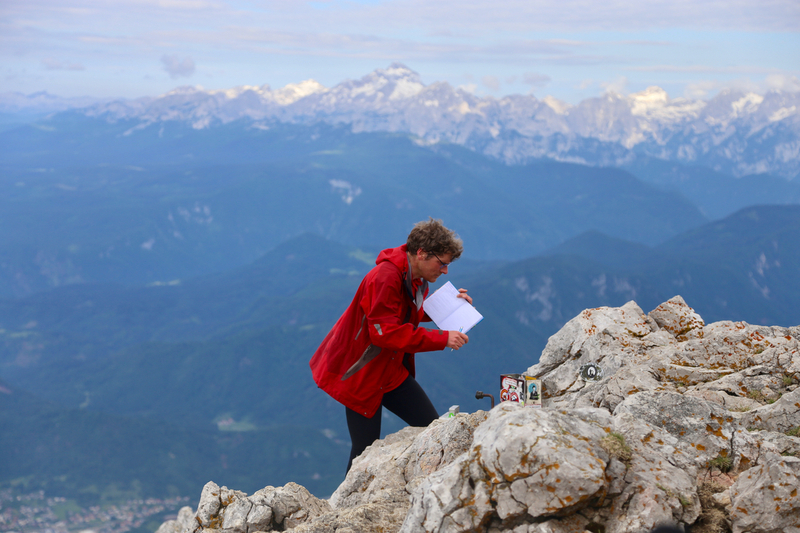 Geir ¶Aring;ke, the impressive Triglav in the background. Hochstuhl, as seen from the valley. The left summit is the highest. Austria, looking north into Austria. 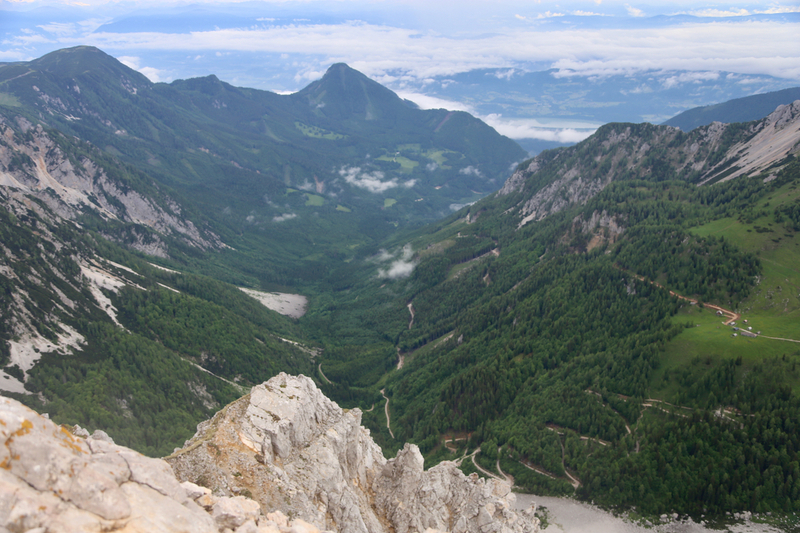 Slovenia, the main valley below.